Smart Allergy Friendly Education: Ready made gluten-free bread - it can be found! Ready made gluten-free bread - it can be found! Have you ever tried baking gluten-free? It's a bit challenging. It's not my forte but I am working on it, with the help of some gluten-free ready made choices. More on those later! I am always thrilled to find ready-made options for those last minute needs. I found a nice sandwich bread which is an allergy~friendly alternative. It also comes in Original and Cinnamon Raisin versions. 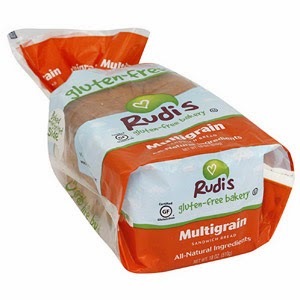 Rudi's gluten-free bakery Multigrain Sandwich Bread, distributed by RUDI'S ORGANIC BAKERY, Boulder, CO. Ingredients include: WATER, POTATO EXTRACT, RICE STARCH, RICE FLOUR, SORGHUM FLOUR, ORGANIC HIGH OLEIC SUNFLOWER/SAFFLOWER OIL, ORGANIC EVAPORATED CANE JUICE, ORGANIC HONEY, EGG WHITES, ORGANIC INULIN, YEAST, SEA SALT, XANTHAM GUM, ORGANIC CORNMEAL, ORGANIC SUNFLOWER SEEDS, ORGANIC MILLET, ORGANIC FLAXSEED, ORGANIC MOLASSES. Their website is filled with great gluten-free information. Recipes. Where to buy. Shopping on-line. 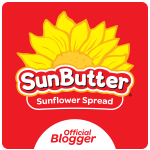 Many gluten-free blogger links. I even had the privilege of being one of their guest bloggers back in February. Wondering if they're coming to your town? Wondering if you can try samples? Check out their EVENTS calendar. They just may be arriving in your hometown very soon! Rudi's works with the National Foundation for Celiac Awareness (NFCA) on their Spread the Bread charitable program launched December 20th, 2010. For every dollar downloaded, Rudi's Gluten-Free Bakery will give a dollar to The National Foundation for Celiac Awareness (NFCA) to help in their efforts to better educate physicians in the diagnosis of Celiac disease. 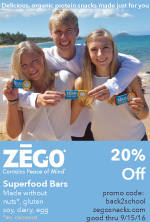 Coupons are available on their website and Facebook page. I love the fact they are very focused on community education locally and nationally. Now get out there and find them locally and give them a try! My favorite way is toasted and loaded with my favorite sandwich goodies! Me too! It would make a huge difference in our home. I need it made also without safflower oil. I can find bread with gluten, dairy and eggs but if its missing those things then it has safflower oil. Very frustrating. I meant without gluten dairy and eggs. Safflower oil? That's a new one to me. Will have to do a little investigating. Thanks for the idea!